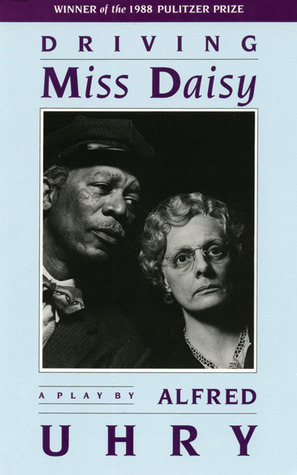 The author’s preface begins by stating of Miss Daisy being a real person his grandmother knew in Georgia in the 1940s. Daisy was a spinster and the last of her large clan. There was also a real Hoke, whom was a part-time bartender at a country club, and Boolie was the brother of Uhry’s aunt’s friend, and the characters aren’t like the people, he only used their names. Miss Daisy was partially his grandmother, her four sisters, and his mother. Hoke comes from his grandmother’s driver, but also other black drivers he’d known in his youth, and Boolie is made up of not only Uhry, but many men he couldn’t identify from his past, and Florine’s character’s real-life counterpart is refused to be revealed. As for the play itself, Uhry didn’t realize the hype it would bring, originally given five weeks on stage, a 74-seater, then the play was given an extra five weeks for popularity and moved to a much larger theater. Uhry had been currently writing the screenplay when he’d written this introduction, and had won the Pulitzer, he stating of writing what he knew and people shining to his perspective without seeking publicity. Daisy, whom is 72-years-old, is heard announcing of going grocery shopping, starting her car, and then noises of a terrible wreck occurring. She is then arguing with Boolie, her 42-year-old son, he noting how lucky she’d been not to have gotten hurt or worse. Daisy stubbornly declares of the car being faulty, her old one not having acted this way, but Boolie stating how it wasn’t the car’s idea to hit their neighbor’s garage. Daisy denies his idea of hiring a driver, he trying to convince her of the likelihood she’ll be able to stay insured after wrecking her car with only two weeks of use so far, he then attempting to ease her mind with knowing he’d work out all the details, but she not wanting to be hassled with someone whom would take advantage by using her things and eating at her home. When he fails to convince her and she defends herself by stating how she was brought up to rely on herself and hiring “them” wasn’t affordable, Boolie gives her a hard time upon hearing her usage of “them”, he sharing he and his wife, Florine had plans for the evening, and Daisy passive-aggressively commenting. Boolie dismisses this, and then relays he’d be interviewing men for the job and would phone the next day, she still resisting, and then sings a song to conclude the argument. Boolie is found in his office, Hoke walks in, currently around the age of 60, and looking like he needed work, but attempted to look nice. Boolie finishes a bit of work as he invites him to sit, Hoke agreeable to allow him to finish his task, Boolie then asking how long he’d been unemployed and where he’d worked before. Hoke responds of it being about a year, he then sharing how he preferred working for Jews which led into whom he’d worked for before having attempted to rip him off by selling him over-priced shirts, he then driving for a Jewish man whom Boolie knew, Hoke having worked for him for 7 years before he’d died. Hoke inquires who he’d be driving, Boolie relaying whom it was for and the reason he was looking rather than his mother, assuring him since he was hiring, she wouldn’t be able to let him go. Hoke is satisfied and accepts the job after Boolie offers his pay rate at 20 dollars a week. Daisy is next seen coming into her living room, reading the news and ignoring Hoke, she only replies to his greeting her. She answers smartly to his weather chat, and then states of taking the trolley to the grocer’s when Hoke relays what the housemaid had told him of certain supplies running low, she refusing to let him take her. Hoke attempts an offer at caring for her flowers and when denied, states of being able to start a vegetable garden, but again is refused, Hoke then resigning himself to sit in the kitchen like he had for six days, but upon discussing how she’d been raised, he offers to water her front steps, this being when she gives him permission to drive her, instead. Hoke makes conversation on the car’s new smell, Daisy speaking of how she’d been taught to drive by her husband and she wanted him to drive well below the speed limit, she then freaking out about the route he was taking, but he gets her there, and once relinquishing the keys to her, she gives him a death stare after he reminds her of getting cleanser, then he calls Boolie from a pay phone, he seeing she’d caught him calling from inside the store and expected she’d have a fit. Daisy is now peeved when Hoke picks her up from temple directly at the front doors, the two arguing why it would be a big deal Daisy’s acquaintances would see her with a driver and looked wealthy, Hoke giving up on talking about it, and next Boolie receiving a call from Daisy, he agreeing to visit her later, she speaking quickly. When he sees her, Daisy is going off on how Hoke had taken a can of her salmon, Boolie not getting what the issue was, he now tired of arguing and stating she do what she wanted, Hoke then arriving and sharing how he’d had the can of salmon and bought a replacement, Daisy attempting nonchalance and going upstairs to change from her robe. Daisy and Hoke are now at a graveyard, she carrying a mini-shovel and Hoke commenting how often they’d come in the past month, she having cleaned her husband’s stone thoroughly, and how she didn’t allow the staff to tend to it, she instructing him to retrieve some flowers from the car to set on a friend’s husband’s grave, she directing where it would be, but Hoke returning and guiltily confessing of not being able to read, Daisy not believing him at first, since she’d seen him look at the paper, he confiding he was looking at the pictures. Daisy then learns he knew the alphabet, and so actually could read and didn’t know it, having him listen to the sound of “B” and “R”, the first and last letter of the last name he was searching for, she declaring he’d locate it, and Hoke sharing how much he was grateful for her help, she dismissing this and sending him off, claiming of getting hot. It’s now Christmas and Boolie is speaking on the phone and looking festive, he asking Daisy if she had coconut, to bring it along, since Florine needed it for her ambrosia. Daisy and Hoke are leaving, she not caught up with the Christmas spirit (hwhat a surprise…), she giving Florine the most crap for how many decorations she put up, Hoke agreeing, but enjoying himself. He points out how she’d also put a Rudolph up in a tree, Daisy declaring how Florine’s grandfather would’ve responded to viewing this, but then changes the subject to a book she’d given to Hoke, she vehemently denying it being a present, and to tell no one, Hoke assuring her and attempting to hide his feelings, the two then walking up the drive. Boolie is now in his late 40s, dressed for golf, and waiting for Hoke, whom comes out to share of Daisy not coming, he relating how defensive she’d been with this new car lately, she chasing some man around when he’d set his case on the hood for a moment, and how she disliked using the A/C, he going on to describe of having purchased the old car and allowing Daisy to ride in it once in awhile, he warning Boolie to mind his ashes. Daisy is then shown carrying out a large suitcase, looking around apprehensively, then getting a dress bag and wicker basket, after which she brings out a wrapped present, Hoke then coming out with a small suitcase and fussing about how she’d brought out all the heavy items unnecessarily, she going on about the time, and he assuring they weren’t late, Boolie then coming out with Florine’s gift for his uncle, whom was turning 90, Daisy stating how inconsiderate they were for not attending and instead going to a show, My Fair Lady in New York. Boolie gives Hoke some emergency money, makes sure they’re set with map, and then wishes Hoke well. Hoke is eating deviled eggs with enjoyment whilst he drove, they discussing their first times out of Georgia, Daisy’s being when she was 12, and Hoke’s being right then, she getting agitated when realizing they’d made a wrong turn, she regretting having been driven and getting talked into it by Boolie instead of going by train. As they are still driving, Hoke soon has to relieve himself, Daisy demanding he wait, but Hoke insisting, and declares of taking the keys, after which a few moments pass, and Daisy at first sounding furious, and then scared as she waited in the dark silence. Hoke is then entering Boolie’s office and relating how he’d heard from Boolie’s cousin’s wife about wanting to hire him, Hoke bringing it up, since putting the idea of a raise in his head, Boolie agreeing and offering 75 dollars a week, Hoke accepting this sounded right, and mentions how being in demand was a nice feeling. Daisy, now in her 80s, is shown in her house, walking by candlelight, the lights having gone out, but phones still working. Boolie called to inform her it was the neighborhood and would update her after checking the car radio. Daisy is then startled when hearing her door open, but then Hoke greets her as usual, telling how he’d learned to drive on ice long ago and had stopped to get her coffee, she pleasantly surprised. They then go through their routine of she stating he clean up the water he’d tracked in and he replying of who she thought he was, she then picking up Boolie’s return call and learning of when the ice would melt, she replying he could stay put, since Hoke had come, Boolie giving her a hard time about she complimenting Hoke for the first time he’d heard. Next, Daisy’s in the car, Hoke returning to inform of the major damage up ahead. Daisy states how it was so late she wouldn’t make it to temple anyways, Hoke replying it had been bombed, so she wouldn’t have been able to, regardless. Daisy is in denial, then hoping no one had been hurt, unable to fathom why a reformed temple would be hit, Hoke describing the sort of people who make such destruction didn’t care, he sharing a childhood story of a buddy’s father getting strung up, Daisy not seeing the relation, and then disbelieving the news he’d heard from the cop being a lie. Hoke decides he’d attempt to return her home, she commanding he end the conversation. Next, Boolie is in his late 50s, walking in to a room whilst being applauded, carrying a silver bowl, and attending due to being elected man of the year by the Atlanta Business Council and preparing to share his speech of thanks and his one-liner jokes about himself, then sharing his family’s origin of their business having been in alignment with the view of the people in their city, due to the success they had, concluding his speech with humble, gratefulness and mention of the upcoming sport’s event on Sunday, and regarding whom he wished to win (football, most like). Daisy is then shown attempting to make a phone call with effort, she becoming more decrepit. She gets a hold of Boolie’s secretary and only has her relay of having acquired the tickets to the honor banquet for Martin Luther King, Jr, then reassures the lady of how late in life her cousin had married. Later, Boolie joins Daisy, whom is now 90, he inquiring how she was, Daisy not seeing the question as suitable for someone her age, and they moving on to his receiving her message. Daisy suggests Hoke drive them, but then offers Boolie to do so when he states of they needing to discuss these plans further, he broaching the subject by stating of realizing MLK Jr’s accomplishments and progressive acts being many, Daisy stopping him by announcing he should get to the point of whether he’d rather decline attendance. He explains how the ignorant men he worked with may affect his success if they found out, he suggesting she invite Hoke, Boolie then leaving. After Daisy gets ready, Hoke comes in to collect her and help her into the car. They’re on their way before Daisy starts harping on Hoke for being blind, he denying this accusation, and she stating how he’d almost hit a mailbox, the car thoroughly scratched. Hoke contradicts this, again and she repeats her accusation of him being blind, which was unfortunate, since the new car looked so nice. Hoke then states how it was rounding a couple years of she owning it, she replying he was going the wrong way. The two compete about their length of time in Atlanta until he trumps (bad choice of word) her on she not having driven for 2 decades, she then changing the subject to Boolie, dancing around how he’d mentioned MLK Jr. and how easy it was for Hoke to see him preach at his church, Boolie believing Hoke wanted her to invite him, he then getting worked up with how she’d brought this up whilst he was driving her, she flustered he was over-reacting to how she’d asked, getting out and walking herself to the entrance. Boolie is now shown on the phone with Hoke, the latter having called to discuss Daisy being aggravated, different than normal, she calling to him, Hoke then describing how she thought she was teaching school and talking nonsense, Boolie assuring he was on his way. Daisy looks unkempt and inquires where he’d left her school work, he denying there was any at all, she certain she put them in a particular spot after grading them. He tells her she’d lost her mind, she ignoring him to state how popular she was with her students for diligently returning their school work a day later after they’d handed them in. She becomes upset when convinced she had ruined everything, Hoke attempting to calm her and convince her she wasn’t a teacher any longer, how lucky she was for being looked after, and if she wanted to see misery, to visit the “state home”. She still doesn’t register the subject and so Hoke instead resorts to stating how Boolie would sic a doctor on her to admit her into a loony bin instead, if she wasn’t careful. She then sobers her tone and asks after the first car he’d bought which she’d previously owned, Hoke updating it would be in a junkyard by now, and she stating, then insisting he was her “best friend”, he convinced by her conviction. Boolie is shown browsing around Daisy’s living room, he now 65. He pockets his mother’s address book as Hoke, 85 walks in, greeting Boolie. He asks how Hoke had come by, he stating his granddaughter had taken him, she 37 and teaching Biology at a local college. Boolie then inquires if Hoke wanted anything from the house before Goodwill came to clean it out, he already exhausting what he wished to keep from Daisy’s possessions. Hoke declines, Boolie then confessing how odd it was to put Daisy’s house on the market whilst she was still living, Hoke understanding, and Boolie rationalizing the decision, since she hadn’t been there for over a couple years. He then confides of Hoke’s weekly check indefinitely being sent to him, Hoke relating how he was grateful, and he attempting to see Daisy as much as he could without a bus going to the stop necessary, he resorting to cab it over when he could. Boolie acknowledges Daisy most likely was happy when he could come by, then states of they moving along to visit her now, since they both more than likely had plans later for turkey day, and should let his granddaughter know he’d give him a ride back. Daisy, 97 is shown moving about with a walker, Boolie and Hoke arriving, the two greeting her, and Boolie helping her sit, the two including her in the conversation of what she’d been up to, but she not speaking, acknowledging them at first with a nod and then seeming distant. Boolie provides general chat until Daisy bursts out with Hoke having come to visit her and not him. Hoke notes she was having one of her better days, she then commanding Boolie to go flirt with the nurses, her son stating how she wanted Hoke to herself and she being “a doodle” before leaving. She snoozes lightly and then sees Hoke, asking if he was still getting paid by Boolie, he admitting this and still wouldn’t divulge the amount, the two agreeing they were living life as well as they could. When Hoke notices she’d left her turkey day pie and sees her struggling with the fork, he offers to accommodate, proceeding to cut easy bite-size pieces for her. I didn’t expect how sweet the characters were with only my knowledge from the film (which was fine from my recollection), but this being quaint and engaging. Quite enjoyable story, and it’s so short it won’t take any time to read it, so if it’s a nice, lazy story one’s after, this’ll do. I’ll be operating under the assumption those who read this have seen the movie, which makes it safe to give a review of the aesthetic. The artist style isn’t quite the same as the comic series, which isn’t bad, only something to get used to. (It looks like an Archie comic a bit, and it doesn’t start like the movie, I’m happy to report, but falls back into the same dialogue and storyline-up after the introduction.) Stays faithful to the movie script except for a few minor jokes being changed, so in that case, the movie is better, but if the reader is looking for the animated-style: Read On. Also the ending is fleshed out to how it should’ve been done in the movie, which makes it a bit more satisfying. Definitely makes a good companion comic to the film. To read my review of, Tank Girl: The Gifting.